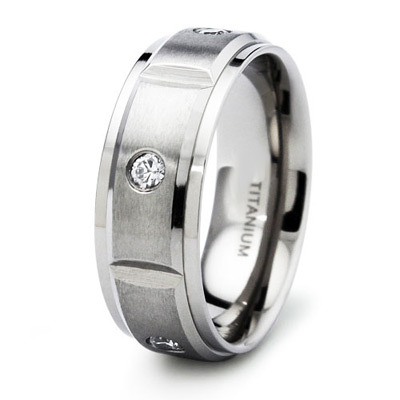 Titanium wedding band has five cubic zirconias and ridged edges. Ring width: 8mm. Available in whole finger sizes 8-12 only. Comfort fit. Made of commercially pure [CP] titanium in China.